How Can I Go Couture Salon? Where is Couture Salon in Redlands on the Map? Amy is my hair stylist and I am so happy I found her. She does an amazing job coloring my hair, and she understands exactly what I want in a hair cut, my hair is not easy to cut and I ofter have a hard time finding someone that can work with my super fine, curly, unruly hair. My entire family now come to Amy, including my granddaughters. Thank you so much Amy! Ami has been doing mine and my daughters hair for about 3 years now. SHE IS AMAZING. I recommend her to EVERYONE. She is the sweetest lady you will ever meet and she's an exceptional hair dresser. She is great with kids and always so friendly to everyone. All the ladies I have come into contact with @ Couture Salon have always been welcoming and inviting, the owner is such a nice lady. They provide a great atmosphere there. It makes you feel like you are just hanging out with one of your girlfriends. But bonus, you are getting an amazing haircut while it's happening. I have been going to Amie for 3 years. I have referred friends and family that are loyal customers as well and feel the same way i do. She does amazing hair!! She has always been very attentive and a good listener in understanding what i want. That is so important to me because i am VERY picky! She has always made me feel so comfortable and confident that she is going to do a good job, i dont even have to tell her what i want anymore, she just does it! I strongly recommend going to Amie. Not to mention, for every customer i have referred to her, she provided a complimentary service for me AND my friend or family! THANKS AMIE! I have been getting my hair done by Amie ever since she was at JC Penny salon. Then once she moved to Couture Salon, i followed her because i didnt want to get my hair done by anyone else. She does an AMAZING job!.. She listens to whatever you need/want and really goes the extra mile. I highly recommend her. she is excellent! 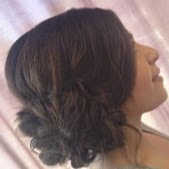 When I first moved to Redlands, I tried several salons and stylists before I found Amie. At my first appointment, she took time to talk with me and make sure she understood how I wanted my color to look. She fixed the issues I was having, and in the nearly two years since then, I've always been happy with the results. Amie is very friendly and attentive, and she is always accommodating and responsive when I contact her to schedule an appointment. 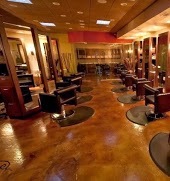 As a salon, Couture's atmosphere is very comfortable and relaxed. I'm so glad I found Amie and Couture!